Our dumpster rental service in Richmond Heights offers a wide range of sizes at affordable rates. All you have to do is call, let us know what you're working on and then request a free quote for the roll off container of your choice. We'll deliver it to you ASAP, providing you with an ETA over the phone. For a better deal, call us at 216-258-0014 today. 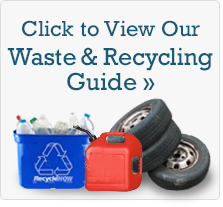 Rent a dumpster in sizes ranging from 10 to 40 cubic yards. Need more time to work on your project? We offer extension options for each rental. We'll help you find a convenient spot for your rental, making it easy to load up. Planning to remodel your home in Richmond Bluffs? Our Richmond Heights dumpster service will make sure your debris is removed ASAP. Within just a few minutes, you can order a roll off dumpster for delivery directly to driveway, helping you keep your debris out of your home and out of your way. Simply let us know how large your planned remodel is and we'll make sure you have the right size container for the drywall, floorboards and anything else that you're tossing out. Give us a ring at 216-258-0014 and we'll make sure your home stays clean from start to finish. Our customers always come first, which is why our dedicated team is standing by five days a week, Monday through Friday, to assist you. Whether you have a question about the types of debris we accept, or simply need a quick pickup, we're here to make sure you have everything you need for a successful cleanup. Ready to rent a dumpster? Call us at 216-258-0014 to get started.